7 of the best iPhone headphones 2018 | What Hi-Fi? Whether you want to use a Lightning connection, go wireless via Bluetooth, or just to upgrade from the original EarPods while retaining full remote control functionality, we've rounded up the best headphones for the iPhone. And we've covered a range of prices to give you the widest choice possible. If it’s style and substance you’re after, the Momentum M2 in-ears deserve your attention. These attractive buds look the part and they blow the EarPods out of the water when it comes to sound quality. Thanks to their excellent build quality, these are the perfect partners for any compatible iPhone. Sennheiser also has the over-ear category all sewn up. These fold, making them easy to sling in a bag, and boast beautifully detailed sound performance. Like their in-ear counterparts, they come with a three-button remote, too. These wireless AKG headphones offer excellent sound quality and Bluetooth performance with added noise-cancelling. An impressive package. 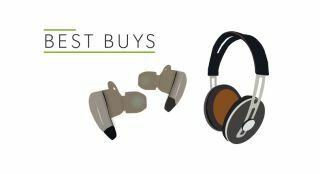 B&W's first ever noise-cancellers are headphones of the highest order and sound quality is second-to-none at this price. Heading to the gym? You'll need headphones up to the task. These are comfy and their easy-going presentation is one you could listen to for hours. A refined performance that’s detailed, dynamic and full of energy. If you want a wired connection to your iPhone X, these are the headphones for you.